HIGH blood pressure symptoms are not usually noticeable, but can include a severe headache, chest pains, and difficulty breathing. If the condition is left untreated it can put you at risk of serious problems, such as heart attacks and strokes. Here are five natural ways you can lower blood pressure, using foods, diet, and supplements. High blood pressure, also known as hypertension, is a condition that affects more than one in four adults in the UK. But many of the symptoms go undetected. The only sure way to find out if you have it is to have your blood pressure checked. If you’re wondering how to lower blood pressure, nutritionist Dr Josh Axe offers five natural ways on his website. The first, is to eat a Mediterranean-style diet. Rich in fish, whole grains, fruits, vegetables, beans and olive oil, studies have found the combination of these foods produces nitro fatty acids, which in turn, blocks an enzyme called soluble epoxide hydrolase which lowers blood pressure. Pumping up your potassium intake is also recommended on the site. Potassium helps your kidneys get rid of more sodium through your urine. Potassium-rich foods include avocado, spinach, sweet potato, and coconut water. Using magnesium to loosen things up (500mg before bed) can also help lower hypertension. Research from the University of Hertfordshire suggested low dietary intake of magnesium increases the risk of hypertension. Taking supplements could also be the way forward - the first, fish oil. The Dr Axe site recommends a 1,000 to 2,000mg fish oil supplement daily. Omega 3 fatty acids can be found in plant foods such as flaxseeds and animal foods such as cold water fish. Foods high in omega 3 are widely known to benefit heart health, reducing the risk of heart attacks and strokes, as well as decreasing the risk of sudden cardiac death. Maintaining your balance with CoQ10 could also be the answer. Previous studies have found this can make cells healthier and less vulnerable to constriction, which can elevate pressure inside blood vessels. 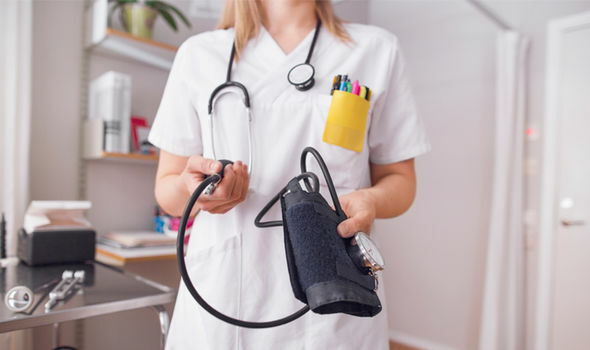 If you’re having your blood pressure measured, what is considered a normal reading? Certain foods in your diet can have a negative impact on high blood pressure, such as those that contain high levels of salt. Blood Pressure UK states eating too much salt is the biggest cause of high blood pressure and an adults should eat no more than 6g of salt a day. Most of the salt we eat every day is hidden’ which means it’s already in processed foods like bread, biscuits and breakfast cereals, and prepared ready meals or takeaways, and frozen pizzas are another surprising food people with high blood pressure should avoid.